Lindsey Buckingham and Christine McVie have collaborated on a new record, and they've been busy touring in support of it. On Monday, they performed at Northrop in Minneapolis. Ahead of the show, Brian Oake and Jill Riley got Lindsey Buckingham on the phone to talk about the new album and about collaborating with his longtime pals from Fleetwood Mac. Jill Riley: I'm glad that you're coming back to town and really interested in talking about this project between you and Christine McVie. So Lindsey, I mean what was the inspiration for the collaboration or duet record with Christine McVie? 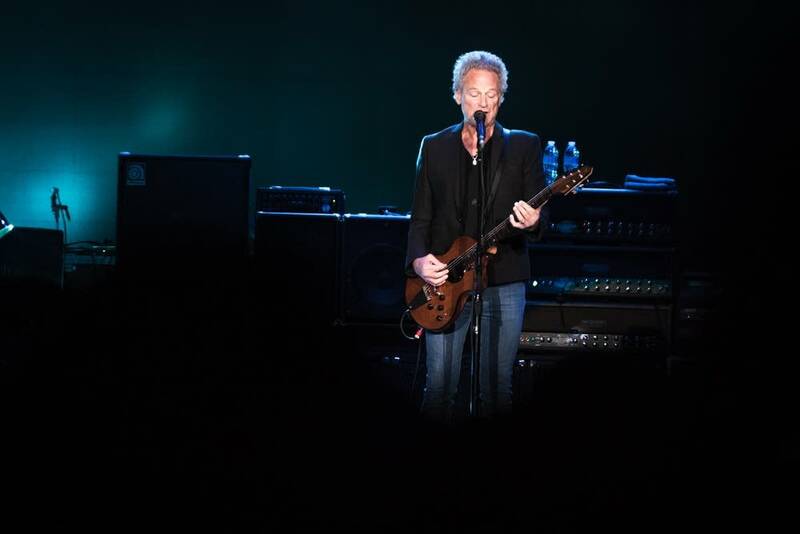 Lindsey Buckingham: It kind of in little bits and starts, and it was a bit of a surprise. We didn't plan it per se, we didn't really see it coming, It was kind of on the heels of Christine reaching out to us a couple years back. She had taken leave of Fleetwood Mac for, gosh, about 15 years. A 15-year vacation and then out of the blue, she just asked if she might rejoin, and of course, we were very happy to welcome her back to the ranks. She was also very interested in reconnecting with her writing, so she started sending me song ideas and I was working on them in my studio and before we got together to rehearse for the subsequent tour — that we did in 2014, 2015 — we thought it would be great to look into some of these things that we'd been working on "across the pond," so to speak. In the studio the energy was just so potent, but it was just extraordinary, and one thing led to another and it ended up being a duet album and we were very, very excited that that was the case. Brian Oake: The things that you wrote about, the things that inform these songs, the kind of stories you were trying to tell, had that changed with a 15-year gap? Buckingham: I had done a great deal of solo work, but had also spent time raising a family, which I started relatively late, and so my songs were about those experiences, and I think hers were really — even though they were love songs — they were through a different lens then what she'd been writing about when she'd been in Fleetwood Mac. Those things coming together made for a whole new equation for us, you know? Riley: A couple of your band members in Fleetwood Mac, Mick Fleetwood and John McVie, play on the record. Did this ever threaten to be a new Fleetwood Mac at any time? Or did you know, " Let's keep this a collaboration, let's keep this a duo?" Buckingham: Well, I think when we first went in the studio — because Mick and John and I had worked on stuff of mine already — I don't think we were necessarily going in thinking, "Oh, this has got to be a duet album" any more than we were thinking, "This should be a Fleetwood Mac album." I think we were really looking at it as a way to help Christine get back to a part of her skill set, shall we say, and to welcome her back into the band — not just in the context of going out and touring, but to share some studio time with her in the context of the new material she'd been working on and she and I had been working on together. But I will say that only a few days in, certainly within a week of being in the studio, we were so taken with the extraordinary repertoire that we had and we didn't really know if that repertoire would exist after that time. You know, she and I did become a little protective about it being seen as a duet album, so there was never really much of a chance that it might have evolved into a Fleetwood Mac album. Oake: Earlier this summer, you announced that you were going on this tour. And it goes so well that towards the end of summer, you announce another 22 dates, so I'm guessing that sort of exuberance you felt when you realized that there is something very strong happening here — that the material is good, that you are enjoying your time together — that clearly that must translate into the live performance. Buckingham: Well, it really does. We have an extraordinary group of musicians backing us up and — I think as much as we were very pleased and confident in the result of the recording and how the album turned out — the idea of doing a tour on a bit of a smaller scale … I mean, it's really a blessing in a way, because this is where you can still take risks and where you can really enjoy a more intimate sense of family on the road with the people you're with, and you can also express things in a way musically that maybe doesn't have to be protective of the status quo as it would, say, on a Fleetwood Mac tour. Oake: By the way the record, for people who want to know, it's called Lindsey Buckingham Christine McVie and that's why you're on the road right now. Do you still play some Fleetwood Mac material? Do you find that people are like singing along and losing their minds when you go there? Buckingham: (Laughs) Well, what is so nice about our careers is you sort of have to factor in the equation of time. Now when those albums were successful, as happens with … there are a lot of bands that have success in the moment. You have to wait a certain amount of time to know whether you did your job properly to see whether the body of work — in our case, whether it has legs. So the beauty of Fleetwood Mac right now is that we can go out and basically restate that body of work and we're playing to basically three generations of people, to whom that music seems to resonate and make sense, so obviously we did our job right and you don't know that in the moment so much. So if you take that mentality to a duet tour like this, obviously you have to find a balance between presenting what is new and what is about the moment and what may be something a little more familiar. 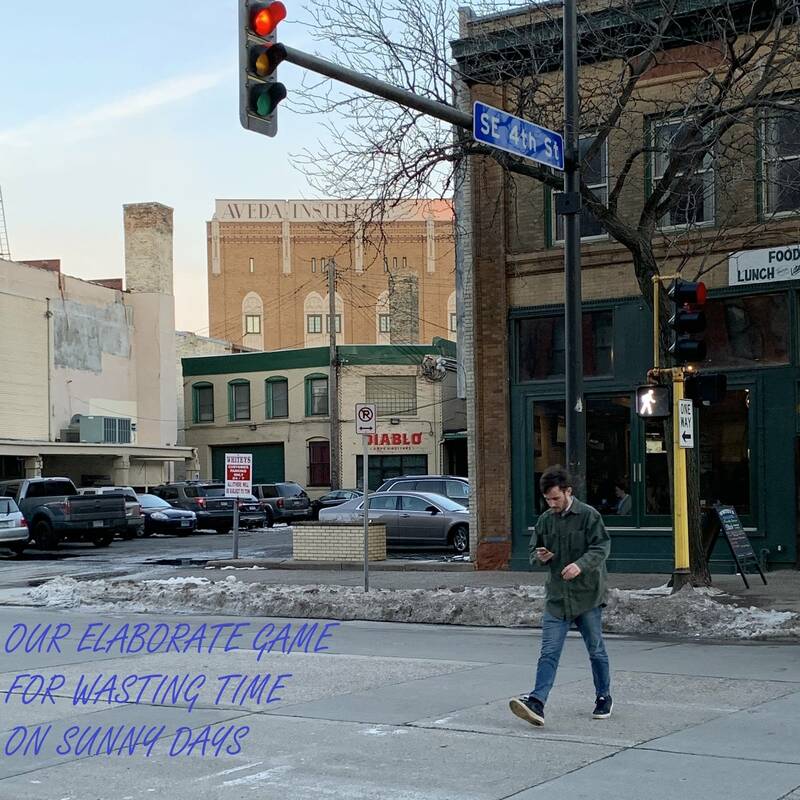 And we are actually playing eight out of 10 songs on the album, and it's all about how you structure a set in order to keep people engaged, but of course, we are still doing a lot of familiar things as well. I think if we didn't do that, they'd probably run us out on a rail.